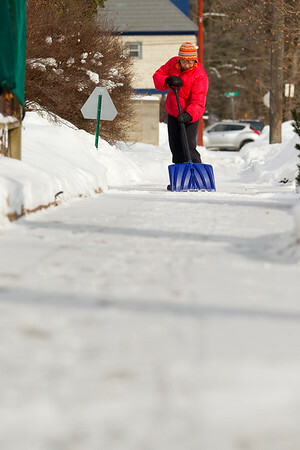 Merilyn Ueno shovels the sidewalk outside her State Street home in Traverse City on Thursday morning. Ueno said she tries to keep the sidewalk around her home clear for the walkers in her neighborhood. "When the sun comes out I like to have it clean," she said.